This entry was posted on October 24, 2011 at 2:56 am and is filed under Meta. You can follow any responses to this entry through the RSS 2.0 feed. You can leave a response, or trackback from your own site. A fresh, well-written perspective with the characteristic provocativeness of DZ. 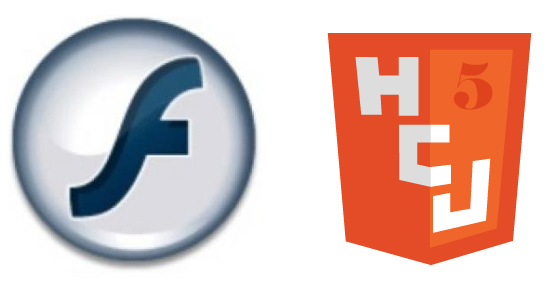 The problem with Flash is that it doesn’t fit with the evolving ecology of the Internet. If Google doesn’t index Flash sites there is not much use for it. And if Apple doesn’t support it then irrespective of its strengths versus HCJ it will become a footnote. Doesn’t this sound fundamentally wrong – open source stopping things from happening. I am for open source, but I am for closed source too and working out a way for them to work together. Apple does support apps made with Flash – there are leading apps made in Flash on the iOS platform – just not in the browsers. Google not indexing Flash has never been a problem for me – generally, you don’t need to run searches on the inside of apps like Opartica – a collage maker. Rather, just use an HTML page to present the app – or there are keywords in app stores, etc. If you are wanting searchable information, it most likely is better suited to HCJ. This is a generalization – but in the making of 50+ Flash features, search has not concerned me. Wow. This hasn’t been a problem anymore since around 2005. Now now… thank you both for commenting. I guarantee that I have the highest post per comment ratio in the world so it is wonderful to have people comment.